John Connolly and James “Whitey” Bulger grew up together on the tough streets of South Boston. Decades later in the mid-1970s, they met again. By then, Connolly was a major figure in the FBI’s Boston office and Whitey had become godfather of the Irish Mob. Connolly had an idea, a scheme that might bring Bugler into the FBI fold and John Connolly into the Bureau’s big leagues. But Bulger had other plans. 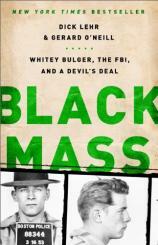 Soon to be a major motion picture starring Johnny Depp as Whitey Bulger, BLACK MASS is the chilling true story of what happened between them --- a dark deal that spiraled out of control, leading to drug dealing, racketeering, and murder.